Having spent 20 years developing her career in the leisure and hospitality industry, in roles ranging from operations to sales to senior management, Wendy Coulson stands out through her ability to drive solid business performance by harnessing the power of teams. 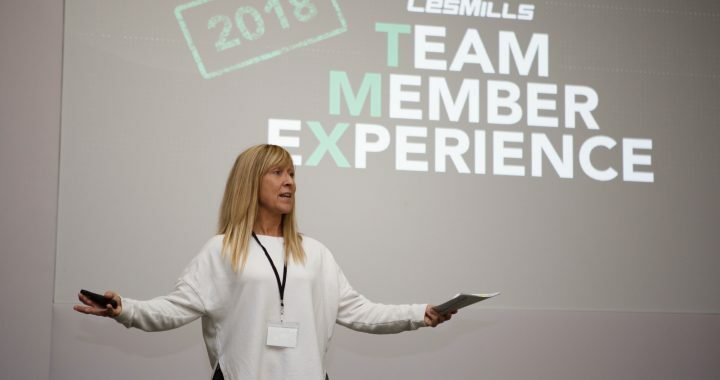 After coming from a variety of brands, such as Bourne Leisure and Warner Leisure Hotels, she found a balance between her personal love of fitness and her dedication to developing high performing teams in her role as Customer Experience Director at Les Mills UK. 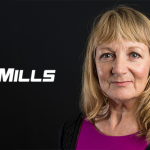 Wendy now leads the Les Mills UK business in her most recent appointment as CEO. 1) A good team culture is a passion of yours – how do you reflect this into your work practise? I place an enormous importance on people. At Les Mills, we have a set of values that ladder back to our overall purpose “For a fitter planet”. They are: One Tribe, Be Brave and Change The World. We also have a set of leadership values and expectations that we share, discuss and encourage all team members to emulate. We cover these values in weekly job chats, plus monthly and quarterly reviews. Weekly team updates are cross-functional team meetings designed to engage people with the wider business and overall strategy. Our leadership values and expectations are Drive, Impact, Curiosity, Insight and Courage and we have full descriptors for each role within the organisation so they know what good looks like. We recognise and reward in various ways those that deliver on these values. 2) How do you decide what a team culture should be based on? Was it something you saw in the past at a previous work? Or is it a model you’ve always believed in? I have always been people-focused. 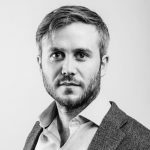 You can have the best strategies in the world or the best product in the industry, but you need a highly-engaged team who believe in what you do to deliver it. 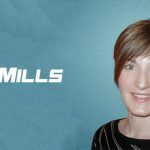 Les Mills culture is based on fun, collaborative engagement. The company is 50-years-old and we hold our values in very high regard. 3) How do you start out to create a team culture that works? Our culture is borne out of a family philosophy and it stems from the top, from Les Mills himself and the Les Mills family. In my past roles, I used empathy to guide the culture. I put myself in other’s shoes with both an internal and external focus. 4) How does the industry you’re in effect the team culture? It can be challenging at times. For instructors specifically, it requires accepting unsociable hours and pay rates that haven’t changed in years. 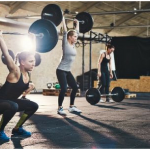 However, it’s also a very fun industry and one that can make a real difference, transforming people’s lives through the power of Group Exercise. I have seen many examples where people have changed their lives after becoming an instructor either as a hobby or as a career change. 5) What are the indicators of a good culture within a team? Data is important – you can’t manage what you can’t measure. Twice per year, we use polling company Gallup and encourage our employees to provide open feedback in the survey. We also measure engagement and NPS scores. However, the key is to spend time engaging with the team. I cannot overstate the importance of connections and seeking to listen and understand. Regular communication sessions with the teams on how they are doing, 1:1 meetings in functional groups and as cross-functional teams is paramount. We leverage the philosophy of Patrick Lencioni’s book The Five Dysfunctions of a Team. It starts with trust and allowing people the freedom to fail and make mistakes. We have a fail-fast culture. It’s OK to fail. That’s how we learn. Our sales team do not work on commission. Everyone contributes to our success and as such, we have a year-end “Pot of Gold” based on a profit share. Everyone counts. 6) Les Mills is a huge company. How do you keep your team members feeling connected and part of the community? We have regular communication with our global teams. Each year, we host a global meeting called Tribal Gathering and this year was our biggest yet, with 650 employees attending including trainers and teams from over 100 countries. We also use our social channels to stay connected and we send out a monthly newsletter called Tribe Talk for instructors, designed to help them learn and upskill. 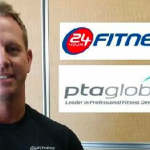 We also send monthly newsletters called Fit Business to our club partners to keep them engaged and informed, while we circulate a monthly internal team newsletter to keep the team informed and engaged around what we are doing. Twice per year, we take everyone off-site for team building, business reviews and to discuss our business challenges together. We then create an action plan based on the results. At the same time, we recognise our peers who have done something outstanding. We announce achievement awards based on votes from fellow team members and make a point of celebrating each other’s success. 7) Why is a good team culture good for business? A happy and fulfilled team means happy and fulfilled customers, instructors and clubs. Ultimately, good team culture means a more profitable business and a positive environment for all. Posted in The Fitness Network.